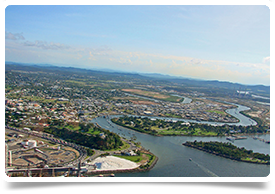 Emergency Medicine Consultant - Subtropical Queensland Coast, Australia. Amazing opportunity to secure the perfect work/life balance you have been dreaming of! Remuneration package of up to AU485,172 per annum, depending on experience. Includes generous professional development allowance and leave. Genuine work/life balance philosophy that works. An additional annual bonus of approx. AU7k. This hospital is working towards establishing itself as a centre of excellence and learning. Funding has been awarded to build a new state of the art ED that will enhance the staff experience as well as help to improve patient care. Brand new state of the art ED to open in 2019. This ED gets 70-110 patients per day. 30k hospital presentations per annum with 20% admission rate. 30% of all CAT 1 presenting are paediatric. Consultants are supported by their own junior medical staff as well as teams of Senior Medical Officers, medical officers in emergency medicine and other specialities. Clinical support provided by Registrar and RMO cover 24/7. Students from 2 universities do their rotations here. 90% of national EM targets hit. 70-bed hospital, great health service provides services to 250k people. A broad range of general and specialist inpatient and outpatient services. Team of Senior and Junior medical officers support ED in providing anaesthetic, obstetrics and general inpatient services. FACEM or equivalent from either UK, Ireland, Canada, USA or South Africa. Ability to participate in the on-call roster. Demonstrated enthusiasm for your own and your team's professional development. Significant understanding of ED models of care. High levels of communication and collaborative work practices. Demonstrated ability in developing a service via quality improvement initiatives. Hospital location has population approx. 70k. A diverse local economy with job opportunities for spouse/partners. Live on beach or lush hinterland.